There were no innocent Gazan lives lost at the border fence this week. There were many innocent lives saved on the Israeli side of that border. 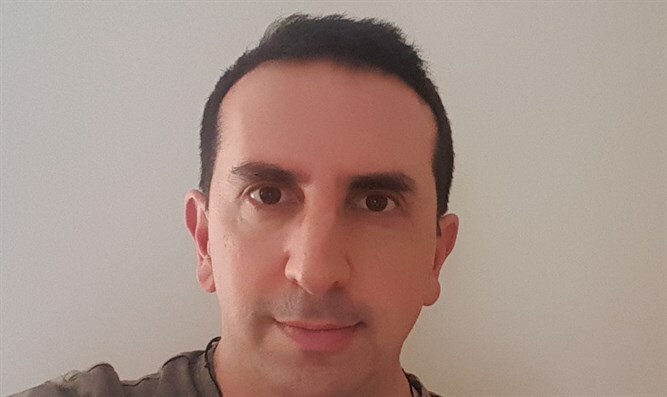 Justin Amler is a noted South African born, Australia-based writer and commentator on Israeli, Jewish and other international issues. His articles appear across a variety of publications. Abraham Chicheportiche contributed to this article. While we can deplore the loss of life in general, there is something important to remember about the 52 (so-called pacifists) who died in Gaza yesterday. There were no innocent lives lost. • Because those who launch kites laced with Molotov cocktails are not innocent. • Because those who rage violently on the border with knives, axes, stones, burning tires or fire arms are not innocent. • Because those who try to place explosive devices along the fence are not innocent. • Because those who try to destroy a border fence are not innocent. • Because those who are thirsty for blood, absolute murder and desperate to achieve it are not innocent. • Because those who burn tires to create a smokescreen to attack and cover themselves are not innocent. • Because Hamas sending children and women to the front line is not innocent. • Because those who burn large wheat fields in Israel with burning kites are not innocent. Hamas sent people to die, helped by UNRWA, which closed schools, helped by most businesses, helped by a cash payment to all those who were injured or killed. Hamas offers $3,000 to families with one member killed and $500 to the injured. And they got what they wanted. Those whom Hamas has used are dead and the world will condemn Israel. Hamas said they had 10,000 people ready to die and kill innocent Israelis yesterday. True to their word, they tried to storm the border. They failed. Nakba again. Hamas, which deliberately sends to death people whom it has fanaticized in the hatred of Jews from their cradle, is a criminal organization that cultivates death. If Israel's defense forces had not stopped them from crossing the border...hundreds if not thousands of innocent people would have been murdered by a horde of fanatical Islamic terrorists. It is time for the Europeans, and the French in first place, to stop caressing them in the direction of victimization and encouraging them in this deadly way. 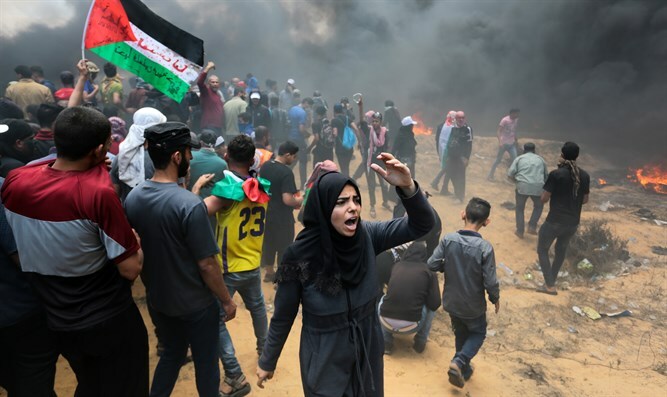 The still-liars, manipulators and falsifiers of the truth would have preferred that these raging and bloodthirsty protesters be greeted with flowers or Swiss chocolates, that Israel should simply submit and let these terrorists in. One thing is certain, these media only encourage the killing of Jews. The days when Jews were helpless? That was 75 years ago. No longer. Today Jews can defend themselves. If Israel's defense forces had not stopped them from crossing the border in order to gain the world's approval, hundreds if not thousands of innocent people would have been murdered by a horde of fanatical Islamic terrorists who want nothing more than to murder and to mutilate Jews. So I do not see the news as 52 terrorists being killed - or whatever number it turns out to be. I see the news as thousands of innocent Israeli lives saved.